Dr. Chrystal Paulos is an expert in basic and translational aspects of T cells in tumor immunity. T cell-based cancer immunotherapy has been her research focus for more than a decade. She trained as a postdoctoral fellow at the NIH with Dr. Nicholas Restifo, where her research focus was on understanding the mechanisms underlying the effective of host preconditioning prior to adoptive T cell tranfer thearapy, an approach that augments treatment outcome in melanoma patients. Her work was the first to sucessfully demonstrate a key role of mucosal inflammation (induced by lymphodepletion) on increasing the efficacy of transferred tumor-specific CD8+ T cells, leading to cures in mice with established melanoma. She also studied the role of IL-17 producing CD4+ and CD8+ T cells (Th1, Th17, Tc1 and Tc17 cells) in tumor immunity. She did her second postdoc with Dr. Carl June at the University of Pennsylvania, where she focused on engineering human Th17 cells to treat patients with cancer. Her work was the first to show that costimulatory molecules that activate human Th17 cells dramatically alter their functional fate and tumor activity. In that past 4 years, Chrystal has been an Assistant Professor at the NCI designated Hollings Cancer Center at Medical University of South Carolina in Charleston, SC. Her established lab identifies signaling cues and cytokines that regulate human T cell activation and function for immunotherapies for cancer. She also studies how lymphodepletion regulates the antitumor activity of T cells and how to exploit these mechanisms to improve treatment outcomes in patients with advanced malignancies. Being a physician scientist, I spend most of my time performing basic and disease-oriented research. This provides me a great opportunity to extend my innate curiosity about the basic mechanisms of disease and explore the possibility of translating basic science discoveries into clinical applications. I had my graduate training (MD-PhD) at the laboratory of Dr. Kouji Matsushima from Tokyo University (Japan), where I acquired extensive experience with studying hematopoietic stem cell biology, dendritic cell biology and chemokine regulation of immune responses. From 1998 to 2003, I did my postdoctoral training at University of Pennsylvania, studying immunology for gene therapy, Hematopoietic stem cell transplantation biology, and pathophysiology of graft-versus-host disease (GVHD, a life-threatening complication after stem cell transplantation). From 2003, I became a research faculty at Penn, continuing my research in the field of stem cell transplantation. Since August 2007 when I became a tenure track Assistant Professor at the University of Michigan, I have developed a research program to investigate cellular and molecular mechanisms that regulate T-cell immune responses and graft-versus-host disease (GVHD) after allogeneic hematopoietic stem cell transplantation (allo-HSCT). GVHD is a major cause of death and profound immune deficiency after allo-HSCT. New methods to control GVHD are urgently needed. My lab discovered the critical roles of Ezh2 (which is a chromatin-modifying enzyme) and Notch (which is a signaling molecule regulating gene expression) in regulating T-cell immune responses and GVHD. Our research findings have been published in Journal of Immunology (2008), Biology of Bone Marrow Transplantation (2010), PLOSE ONE (2011), Blood (2011), Blood (2012), Journal of Immunology (2013), Blood (2013) and Journal of Immunology (2014). To develop pharmacological approaches that can be translated into patients, I have established close collaboration with scientists both in the United States and other international institutions to assess the impact of newly discovered Ezh2 inhibitors in the modulation of inflammatory immune responses. My goal is to develop novel and clinically relevant approaches to improve the treatment of hematological malignancies. From 2014, I am fortunate to be recruited as Associated Professor (Tenure track) to Temple University to continue my academic career. I have been successfully applied for extramural grants for supporting our research. I am the principal investigator on several peer-reviewed research grants from national agencies. These include: 1) R01 from NIH (1R01CA172106-01); 2) Department of Defense (WB1XWH-11-1-0294); and 3) Scholar Award from ACS (RSG-10-161-01-LIB).In collaboration with Dr. Ivan Maillard (U-M),we have also successfully applied for Damon Runyon Rachleff Innovative Award, which is an extremely prestigious award to young investigators. With securing these research grants, my laboratoryhas made significant progress in studying mechanisms that control inflammatory immune responses, development of GVHD and induction of anti-leukemic activity after allo-HSCT. Besidesthose published papers mentioned above, we have additional four manuscripts in preparation and/or submission, including one in revision for Blood (2013). Upon publishing these studies, we plan to apply for more extramural research funding to support our research. Dr. Mehrotra is at Medical University of South Carolina at Charleston. He obtained his post-doctoral training at University of Connecticut Health Center after obtaining his Ph.D. in Immunology from Sanjay Gandhi Post Graduate Institute of Medical Sciences at Lucknow, India. Dr. Mehrotra's research is focused on understanding the molecular and metabolic pathways that get altered during T cell activation and expansion, primarily influencing T cell persistence. Further, Mehrotra lab uses differently programmed T cell subsets for immunotherapy of melanoma and vitiligo in in vivo models. The gut mucosal immune system not only protects us from numerous pathogen invasion, but also maintains the homeostasis with commensal bacteria and innocuous food antigens. The failure of gut homeostasis not only increases the risk of gut infection, inflammatory bowel disease, but is also related to allergy, cancer,autoimmune, and metabolic diseases.Our lab’s goal is to combine molecular data with in vivo models to further the understanding of mechanisms underlying these homeostatic and pathological conditions and aid in the development of treatments for these gut related diseases. Dr. Woong-Kyung Suh is Director of Immune Regulation Research Unit at IRCM (Institut de recherches cliniques de Montréal), Associate Research Professor at University of Montreal, and Adjunct Professor at McGill University. Dr. Suh’s main research interest isto understand signal transduction pathways of T follicular helper (Tfh) and T follicular regulatory (Tfr) cells in health and disease using gene-targeted mouse models. T cell costimulatory receptors and their downstream signaling molecules play important roles in generation and function of Tfh/Tfr cells and they are also suspected to support progression of Tfh-derived peripheral T cell lymphoma AITL (angioimmunoblastic T cell lymphoma). Dr. Suh’s laboratory has identified phosphoinositide 3-kinase as one of the key Tfh signaling components. Expanding on thisfinding, Dr. Suh’s group continues to work on CD28 and SLAM family costimulatory receptors and their downstream adaptor proteins, kinases, and transcription factors that control follicular T cells. The long-term goal of Dr. Suh’s research is to develop knowledge-based innovative treatment options for antibody-associated immunological disorders and AITL. signaling pathways (sphingolipid, Toll-like receptor, and apoptosis) and related disease (liver diseases and Diabetes). Dr. Avery Posey is an immunologist with training in bioinformatics, biochemistry, and molecular and developmental genetics. He completed his postdoctoral training in the Center for Cellular Immunotherapies at the University of Pennsylvania with Dr. Carl H. June investigating novel CAR T cells for solid tumors; CAR T cell costimulation, signaling and metabolism; and cancer-specific glycosylation. Dr. Posey’s work was the first to target the combination of abnormal glycosylation and tumor-associated antigens as a method to avoid off-tumor, on-target toxicities. His laboratory focuses on the development of glycan-specific adoptive cell therapies for the treatment of metastatic and advanced cancers, as well as methods to improve the efficacy and impact of current cellular therapies, including gene editing and overcoming T cell exhaustion. Dr. Guangfu Li was trained as a postdoctoral fellow at the Penn State Hershey Medical Center with Drs. Kevin F. Staveley-O’Carroll, David X. Liu, and Channe Gowda. His research has focused on cancer biology, cancer immunology, and clinically available therapeutic strategies for cancer. Using a cyclic amplification and selection of targets (CASTing) approach, online Transcription Element Search System (TESS), double immunoprecipitation (IP), and mass spectrometry, Dr. Li and his colleagues investigated role of activating transcriptional factor 5 (ATF5) in regulating cell growth and promoting cancer cell-specific survival. The studies identified ATF5 downstream targets, ATF5-interacting partner proteins, and role of ATF5 in the interaction between mother centriole and pericentriolar material (PCM).Using immunocompetent mice, Dr. Li and his colleagues establishedclinically relevant murine model for different cancers including hepatocellular cancer and pancreatic cancer. Using these models, theyhave explored different ways to overcome tumor-induced immunotolerance and develop immune-basedcombinational therapies to eliminate the established tumors. In addition, his team uses different technologies to detect the circulating tumor cells (CTCs) in cancer patients toward development of effective strategies against tumor metastasis. Dr. Erica L. Stone, Ph.D. I am an Assistant Professor in the Translational Tumor Immunology Program at The Wistar Institute. During my Ph.D. I studied glycoimmunology. My postdoctoral training was in a classical immunology lab. As a Postdoctoral Fellow in the Laboratory of Stephen M. Hedrick at the University of California San Diego I studied the role of FOXO transcription factors in regulating T helper cell development and function. Our research showed that FOXO1 controls the expression of CTLA--‐4, and ICOS; is required for T regulatory cell function; and inhibits Th1 and T follicular helper cell differentiation and effector molecules. In the Stone laboratory we are investigating immune suppression in the tumor microenvironment and mechanisms of resistance to immunotherapies. 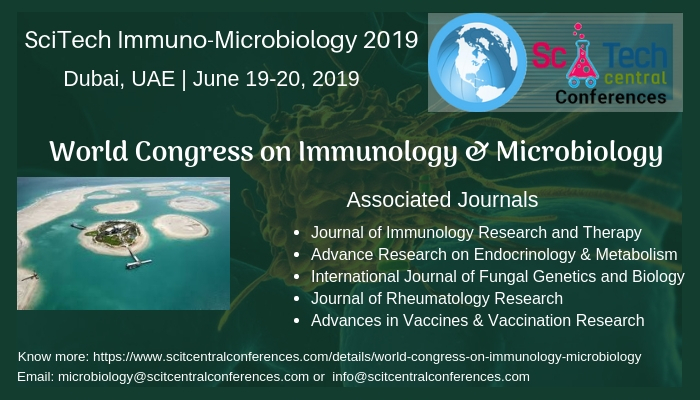 T cells, Regulatory T cells, Tregs, T cell differentiation, T helper cells, T cell suppression, CTLA-4, immune checkpoint inhibitors, FOXO1, immunotherapy, tumor immunology, glycobiology, glyco-immunology, lectins, and the tumor microenvironment. Prof. Xiang-Yang (Shawn) Wang, Ph.D.
Myeloid cells, antigen presentation, tumor immunology and immunotherapy. Dr. Xiao Chen is Assistant Professor of Medicine at the Medical College of Wisconsin (MCW), Division of Hematology and Oncology. Dr. Chen's current research focuses on graft-versus-host disease (GVHD), which is a serious, frequently fatal complication following allogeneic hematopoietic stem cell transplantation. Specifically, he is investigating the role of the retinoic acid pathway in the pathophysiology of GVHD. He also has a strong interest in tumor immunology and immunotherapy. His long-term research goal is to find ways to augment the beneficial graft-versus-tumor (GVT) effect while minimizing GVHD in order to make allogeneic hematopoietic stem cell transplantation a more effective and safer treatment for cancer patients. Dr. Di Loria graduated from the University of Napoli “Federico II” Faculty of Veterinary Medicine in 2000 and attended for 2 years as intern to Section of Internal Medicine, under the mentorship of Prof. Paolo Ciaramella. In 2005 after three years, focused on small animal Internal Medicine, he obtained a Reseach Doctorate (DrSc) conducing a research centered on the role of thrombomodulin, protein C and antithrombin in cats affected by cardiomyopaties. Then he obtained a postdoctoral fellowship focusing on the immunological and therapeutic aspects of Leishmania infection in dogs. In November 2011 he become Assistant Professor of Small Animal Internal Medicine at Department of Health Sciences University Magna Græcia of Catanzaro Italy. His research interests include canine leishmaniosis, cardiologicalbiomarkers, clinical aspect ofparasitosis, disorders of hemostasis and clinical immunology during infectious diseases. In particular, he is interested in the role of skin and innate immunity during Leishmania infection in dog. He also studied the role of Regulatory T cells, Cytotoxic T lymphocytes and a Th1 cytokine profile in dogs naturally infected by Leishmaniainfantum. Moreover he studied the presence of anti-plateletIgM and IgGantibodies in dogs naturallyinfected by Leishmaniainfantum. Recently he focuses his interest on exosomes and microRNAs and their role in immunologic field during leishmania infection and dermatologic diseases in dogs. got my doctoral degree at China Agriculture University under the supervision of Dr. Bin Wang in China. During that time, I mainly focused on the exploration of novel strategies to prevent and immunotherapeutically treat acute or chronic viral infectious diseases including HBV and newly emerged H7N9 avian influenza virus. After that I did my postdoctoral training in U.T. MD Anderson Cancer Center in U.S. My current projects focus on investigation the function of ubiquitinase and deubiquitinase in the regulation of immunological tolerance, autoimmunity, chronic inflammation and cancer development. 1) ubiquitination and deubiquitination in the regulation of NF-kB and immune functions, 2) signaling pathways regulating immunological tolerance, autoimmunity, and chronic inflammation and 3) deregulated activation of NF-kB in cancer development. Dr. Nejash Abdela did an excellent academic achievement and received a degree of Doctor of Veterinary Medicine (DVM) with great distinction from Jimma University in 2017. He is also a well-versed young energetic researcher with admirable scientific paper writing and publication skills. Inspiringly he has published more than 40 scientific papers on reputable peer reviewed international journals. Moreover, he is the reviewer and editorial board member of different international journals. Dr. Mahmoud Mohamed Elalfy PhD. Forensic Medicine and Toxicology Dept. Dr. Moussa Ahmed is a Medical Microbiologist by profession. . He obtained his PhD degree from Mostaganem University Algeria.He ison the editorial board of many international medical and scientific journals. I am Dr. Azam Bolhassani working as an Associate Prof. at Hepatitis and AIDS Department in Pasteur Institute of Iran. My filed is about vaccine design against HCV, HIV, HPV infections and the use of immunotherapy and chemotherapy against cancer and the use of different adjuvants and delivery systems for enhancement of vaccine potency. We work on some different vaccines including DNA vaccine, Protein vaccine, Live vaccine, VLP vaccine and recently, DC and MSC vaccine. Our main research interest focuses on T-cell antigen receptor (TCR)-directed signal transduction pathways in T lymphocytes, as well as a comparative analysis of signal transduction mechanisms in normal versus transformed cells. We aim at identifying and characterizing the mechanism of action of several important effector molecules in T lymphocytes and study their role in the immunological synapse. Among the proteins that we study are protein kinase C theta (PKCθ), ZAP-70, Crk and PICOT. PKCθ and ZAP-70 are essential for the regulation of T lymphocyte activation and differentiation, are key molecules in the immunological synapse of TCR triggered T cells, and their absence leads to immune deficiencies. The Crk adaptor proteins are involved in the regulation of signaling mechanisms downstream of the TCR, while PICOT, which associates with PKCθ in T lymphocytes and was found to be essential for embryonic development is highly expressed in several types of malignancies, including human leukemia, although its exact biological role is still enigmatic. Dr. Yongxin Zhang, MD, Ph.D.
His research areas include Immunology, Microbiology, cell transplantation, stem cell technology and bioreactor development. His very recent studies have been more focused on cancer immunology. Dr. M. Joyce Nirmala PhD is a Young Scientist (since Dec 2015), Department of Science and Technology-Science and Engineering Research Board (DST-SERB), Government of India. Her current host Institution is the Department of Chemical Engineering, Indian Institute of Technology Madras (IITM). She obtained her PhD in Nanobiotechnology from the Centre for Nanobiotechnology, VIT University in 2015. She received Research Scholar Award from Vellore Institute of Technology with the highest cash prize for the year 2012 and 2013. This was to honor her maximum number of research publications in the field of Nanoscience and Nanotechnology. She has authored more than 40 original research articles including editorials in peer reviewed reputed International Journals. She worked as a Teaching and Research Assistant in the School of Biosciences and Technology, VIT University, Vellore (2010-2014). She completed her M. Sc. Biotechnology from the same University in 2009. She did her Bachelor of Medical Laboratory Technology in Christian Medical College and Hospital, Vellore (2000-2003), followed by one year of internship in 2004. She also completed her two years of bond period in the Department of Microbiology and the Department of Clinical Pathology of CMCH, Vellore. She obtained her Honors Diploma in Computer Applications in 2004. Her research interests include Nanobiomedicine and Nanopharmaceutics. Novel drug delivery systems, cancer nanomedicine, antibiotic drug resistance, drug pre-formulations and kinetics, nano-bio interaction studies and nano-toxicity are some of the key areas. (1) Prior to coming to UBC (2) At UBC (3) Date of granting of tenure at U.B.C. General Ligand Affinity Chromatography, Immobilized Enzymes, Biochemical Genetics of Mouse Enzymes, Applications of Hybridoma Technology, Research and Development of Rapid Immunodiagnostic Tests, Research and Development of Antibody-Based Anti-Cancer Drugs. Ferdows Pars Agri Livestock Holding Co. Professor Akbar Nikkhah holds BSc in Animal Sciences (University of Zanjan, Iran,1999), MSc in Animal Nutrition (Isfahan University of Technology, Iran, 2001), PhD in Dairy Nutritional Physiology (University of Manitoba, Canada, 2007) and Post-Doctorate in Nutritional Genomics and Management (University of Illinois, US, 2008). Nikkhah has humbly received numerous national and international awards & honors. He has authored >50 books and book chapters and >600 scientific publications namely referred articles of scientific, industrial and outreach nature. He has been the winner at World Academic Championship 2017 and 2018 in Animal Science, at the International Agency for Standards and Ratings. He has extensive experience working with poultry (laying hens, broiler breeders, broilers), dairy, beef and sheep industries in Iran and North America. He is an invited speaker in a variety of national and international professional conferences and meetings, and serves >500 national and international journals, conferences, and publishers as chief science advisor, programmer, decision-maker, editor and evaluator. Dr. Theocharis Konstantinidis MD, PhD. Theocharis G. Konstantinidis MD, PhD, is researcher at the Laboratory of Molecular Hematology of Democritus University of Thrace. He graduated from the Kuban State Medical Academy of Krasnodar, Russia in 1998. He completed his training in Medical Biopathology (Laboratory Medicine) at the University Hospital of Alexandroupolis in 2008. He received training in immunology at the Medical Research Center “Immunculus” in Moscow. He also completed his Master from Medical School of Democritus University of Thrace in 2012 and his PhD in Immunology from Medical School of Democritus University of Thrace in 2017. From 2009 to 2014 he was a Scientific Director and Technical Manager of Regional Public Health Laboratory of Hellenic Centre for Diseases Control and Prevention. Since 2015, he works as Medical Doctor at Immunohematology Laboratory of Blood Transfusion Centre of General University Hospital of Alexandroupolis. He has contributed and co-authored publications in peer review papers. His research areas of interest are inflammation, immunology and autoimmunity.